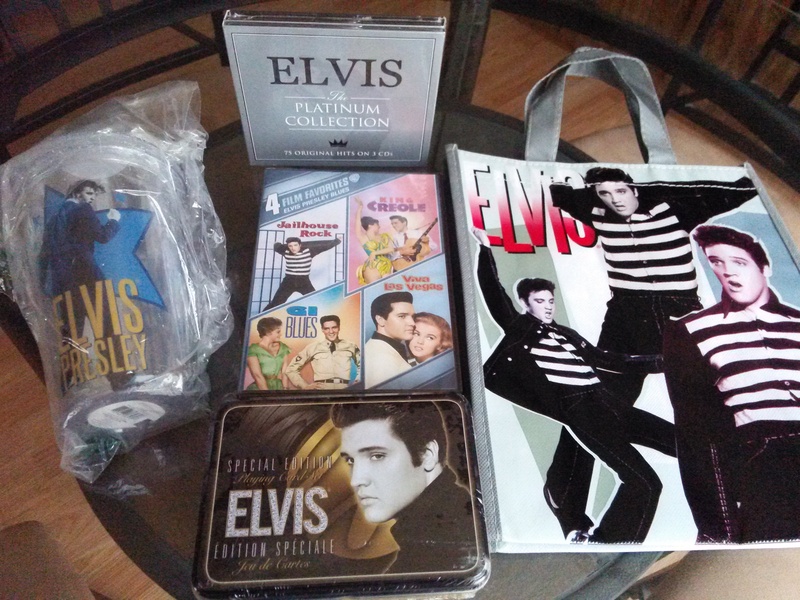 Ramblings of a Lifelong Elvis Fan – Part 35 – AWESOME Elvis Gift Bag Giveaway – Winner and answers announced! Amanda Stillwell-Seabolt – Congratulations, Amanda!!! I will contact you by email to collect your prize. The contest is in no way sponsored by Facebook, and Facebook is in no way associated with this contest. Alicia Dean is responsible for delivery of all prizes. Must be a U.S. residents to be eligible (must provide a U.S. shipping address). Taxes due, if any, on prize winnings, are the sole responsibility of the winner. Void where prohibited by law. In three weeks, on March 27, 2015, one name will be drawn from all commenters who attempt to answer the questions. 10 questions total. 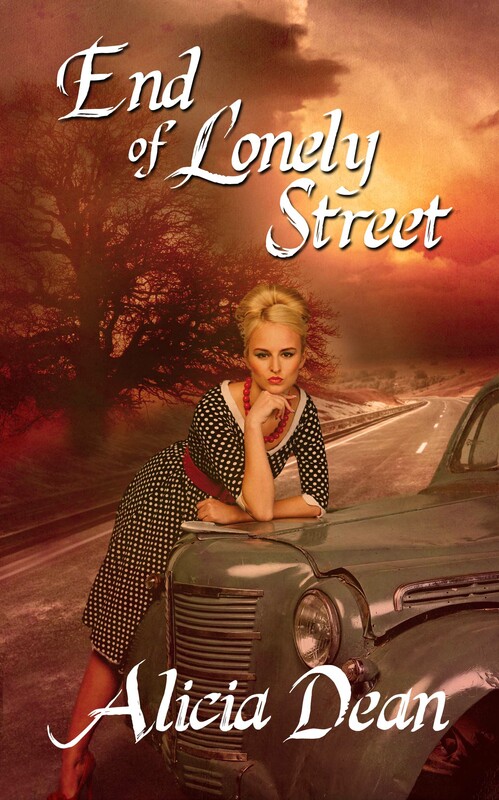 Some are Elvis questions and some are questions about END OF LONELY STREET, my 1957 Vintage Historical Short Story. Without having read the story, if you’re an Elvis fan (and read the below blurb), you should be able to answer these questions. Please provide all answers in one comment. You do not need to list the questions, simply provide the answers. Have fun! 1) What was Elvis’ first million selling record? 2) Where did the idea for Heartbreak Hotel come from? 4) Which of Elvis’ movies was he most proud of? 5) One of Elvis’ early jobs was an assembler at MARL Metal Products. Why did his mother make him quit? 6) What year did Elvis purchase Graceland? 10) What career is Toby pursuing? When I was 13 I bought my first records (45 RPM) one was “Heartbreak Hotel” and it may have had “Love Me Tender” on the back or it was the second record I bought. LMT was my favorite, it reminded me of a Civil War Soldier singing about missing his girl back home…what little I knew of love at age 13 (we weren’t as savvy back then as the kids today). 1. I’ll guess Heartbreak was his first million seller. Elvis was a big influence on the youth of my day…gave us a feeling that like him, we could do anything if we set our mind to it…a great man in my book! Thanks for playing. The correct answers will be revealed in a few weeks 🙂 Yes, a great man for sure! Definitely for Elvis fans. Winner…enjoy! Nice try…you did get some of them right. 🙂 Thanks for playing! I totally had the best day at work yesterday reading about Elvis. Thank you, thank you, thank you! Even the gal who relieves me for lunch (she IS Fowler Honda….Literally. Without her we’d never have won all our awards we have…ok, the GM is the best, too 🙂 AND is an Elvis fan was reading a website with all his song lyrics! Reblogged this on Author Alicia Dean. Sounds fun and good luck to all!